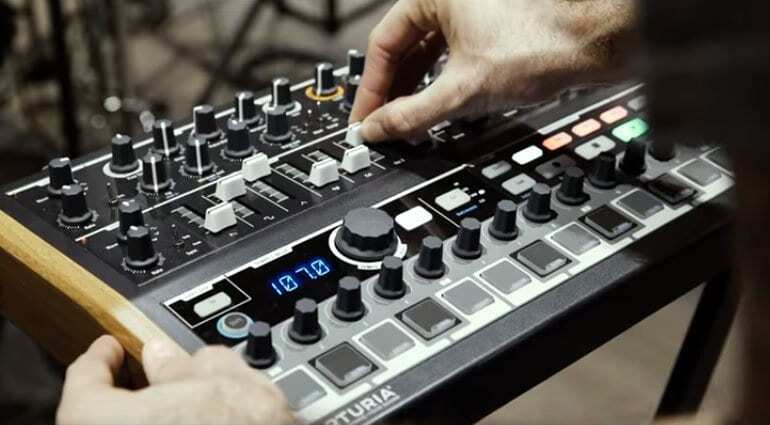 Number two of Arturia’s three product announcements brings us a slightly weird looking hybrid which seems like they’ve smashed together the DrumBrute and the new MiniBrute 2. 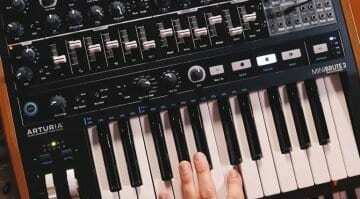 The MiniBrute 2S replaces the keyboard with a triple-layered step sequencer. 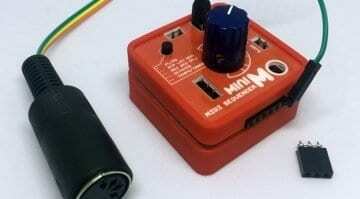 It’s not a drum machine, it’s a sequencer that just looks a bit like a drum machine. 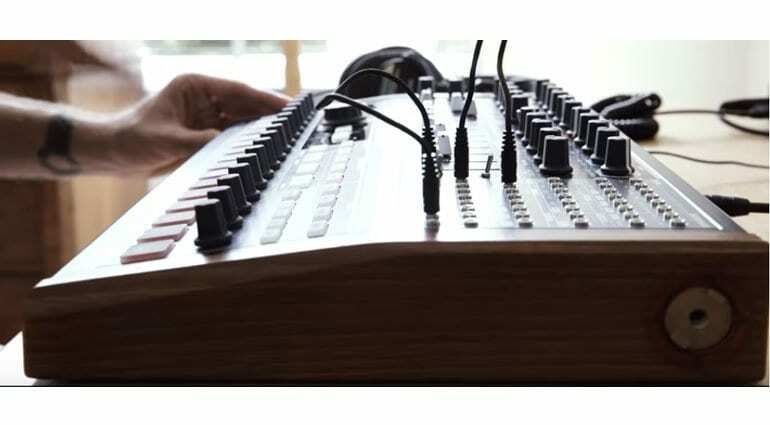 It appears to have the exact same features as the MiniBrute 2 that we saw yesterday, but they’ve pulled off the keyboard and stuck in a line of pads, knobs and pattern controls. 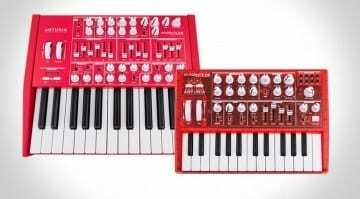 This does a fair bit of subverting – it subverts the synthesizer and subverts our expectations. It’s not as if we haven’t seen synths with featured sequencers before – the TB303 obviously – but I can’t remember the last time I saw it done so dramatically. It has an intent, a deliberate focus that’s very unexpected from Arturia. It’s like up until now they’ve ploughed a traditional path with their synths and separate sequencers and drum machines. Maybe this is Arturia starting to think outside the box. So assuming the engine is the same as the MiniBrute 2 you’ve got a 2 oscillator semi-modular mono-synth with wave blending, looped envelopes, filter, LFO and Brute amplifier. On the right side is the same patchbay for all that lovely modular integration and the versatility that brings. The sequencer is “triple-layered”, which they haven’t explained yet, and offers 64 sequence memories with pattern chaining and step control over all sorts of parameters such as gate, envelope, LFO and so on. There’s another mention of being “Link Compatible” which refers to these sockets in the side of the device. I imagine once they reveal product number 3 it will all become clear. Could have done with more differentiation in the naming though – perhaps? More detail will appear on the website in the next day or two and I’ll be sure to update this article to reflect that. In the meantime, this is a very exciting product and a great break from the norm. It does look a bit weird to me though. The angle that comes from the middle seems the wrong way round, I would prefer to bend the other way – but that’s just me.